Peter Bryer: Mobile Foresight: Will the smartphone industry soon have its own "Minolta Moment." Expect some major smartphone vendors to leave the business over the coming years as profits fade. This won't be a pretty picture. Will the smartphone industry soon have its own "Minolta Moment." Expect some major smartphone vendors to leave the business over the coming years as profits fade. This won't be a pretty picture. 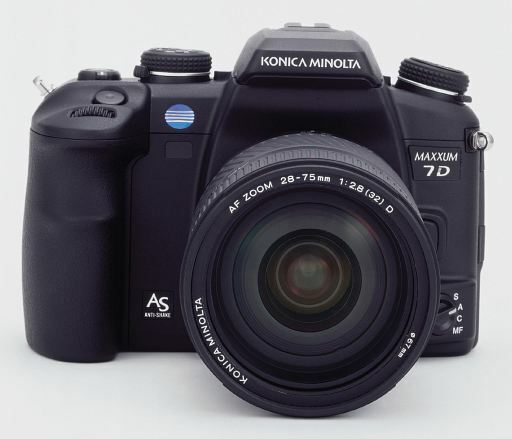 Back at the beginning of 2006, despite a fantastically photogenic pedigree, Konica Minolta picked up and walked away from the camera business. Even with two strong brand names, both synonymous with photography, the company sank in an evolving industry until their market share was less than 3%. As competition increased and profit margins faded, the board of Konica Minolta made what must have been a very emotional decision: it's time to leave for greener pastures. Today Konica Minolta competes in the market for office copiers and printers. Photography is only part of the company's history now. Industry shakeouts are nothing unprecedented in consumer electronics. Radios, televisions, telephones, computers. As average selling prices decline over time, the creamy profitable layer of the industry disappears, and the market self-corrects. Several top-ten handset vendors from the '90s have left the business including Ericsson, Siemens, and a number of significant Japanese manufacturers. In the coming few years, there will be a similar pattern among smartphone vendors. Some brand names which are essentially synonymous with street talk will pick up and walk away. The enablers for extreme smartphone commoditization have quickly fallen into place: the hardware, the software, the distribution. The shakeout is going to happen. This will be an interesting development. Minolta management, Jan 19th, 2006: "In such a changing world, profits for camera and photo businesses worsened in recent years, and it became necessary to drastically reform business structure for the further growth of Konica Minolta. Ever since we decided and announced restructuring guidelines of our businesses on November 4, 2005, we have been considering practical and detailed plan, and we would like to announce our decision made today as follows: we have decided to withdraw from camera business, such as film cameras and digital cameras..."